As one of the most recognizable names in the fashion industry, Ralph Lauren has built an empire that spans all over the world. 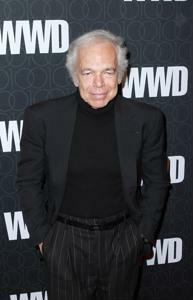 He is best known for his Polo Ralph Lauren clothing, fragrance and accessories and is considered as one of the most wealthy individuals in the world. When he's not collecting ultra-rare cars and designing the next revolution in men's and women's fashion, he is also an avid interior designer. While he has countless homes and properties all over the world, Lauren's Manhattan apartment may be one of his most breath-taking. While the living room and kitchen areas are prime examples of Lauren's view of modern style, ElleDecor.com reports that his bathroom is one of the most impressive features of the home. The narrow layout is dominated by a large glass window that takes up an entire wall and gives a dazzling view of the Central Park reservoir and the Manhattan skyline as a whole. This influx of natural light is also put to good use with a myriad of mirrored surfaces on the walls, as well as a floor consisting of Thassos marble, to maintain the room's clean and streamlined look. There are certainly more than a few cutting-edge style elements in Ralph Lauren's washroom, but there are many features that could work in the standard home as well. The designer incorporated a dual-sink bathroom vanity that was accented with chrome faucets and dials, as well as energy-efficient overhead lighting. The vanity itself was decorated with a series of fresh-cut flowers, bath oils and other small items that were placed within easy reach. The room also contained low-flow toilets and other energy-efficient improvements to help make the space a bit more sustainable. Finally, Lauren added a large mirror to the space behind the vanity to enhance the beauty area for anyone using the bathroom. The piece also helps to make stellar use of natural light during the day, and helps to visually increase the size of the room. All in all, it seems that Lauren embraced many contemporary style elements when putting together his bathroom with clean lines and shiny surfaces dominating the space. Whether you're designing a washroom in a small apartment or decorating your master bath for the first time, a few of Ralph Lauren's interior design interests could help you put together a dynamic retreat in your own home.